Whether in history class or from family and friends, you have most likely heard this statement before. Maybe you have seen it online. Maybe you are not even fully sure of what it means. When thinking about this idea, there is one topic that really stands out to me. This issue floods our media, our hallway discussions, and our family dinner arguments: immigration. Sometimes, as a teenager, the immigration policy can be difficult to keep up with. Not to mention, if you are not an immigrant, you may not even think this topic matters or applies to you. Except, despite what we may choose to believe, this pressing issue matters much more than you, as a Jewish teen, may think. In 1924, President Calvin Coolidge signed the Johnson-Reed Act, enacted to restrict immigration to America from European countries such as Italy and Austria; the act was based on the ideas of eugenics, the “science” that said immigrants were social burdens and were inferior to white Americans. Harry Laughlin, a Eugenist during this time, stated that immigrants, mainly Jews, were a large part of the “insane” population. This statement contributed to the United States denying entry to many Jewish immigrants before and during the Holocaust. In 1939, a German ship left for America with 937 Jewish passengers seeking asylum from Nazi Germany. When they reached Miami, they were turned away. A quarter of these people died in the Holocaust. America’s reason for denying them entry? The idea that Jews were “Nazi spies,” and they had already reached their refugee limit for the year. This wasn’t the last time it happened. Through the next several years America continued to make the immigration process harder and harder, allowing less and less Jewish and other European refugees into the country. Later in the 20th century, a new policy came about: The Lautenberg Amendment of 1989. This said that Jews and other European minorities could come to America as refugees due to a “credible fear of persecution.” This helped Jewish citizens in Soviet countries who were facing anti-semitism gain their refugee status and enter America. While this process was long, full of paperwork, and not easy, it helped 400,000 Soviet refugees — many who were Jewish — live safely in America. Compare that large number to under 13,000 Syrian refugees allowed in America in 2016. These refugees also had to endure a long process and were fleeing a civil war. Their homes were destroyed, families torn apart at the hands of violence in their country. Like Jewish immigrants, Syrian refugees — and all refugees — are fleeing somewhere that is too dangerous to live, in search of a better life. We often are taught that anti-semitic propaganda existed only in Nazi-driven Europe. But did you know this propaganda was all over American media during the 1930s? A popular radio show host named Father Charles Coughlin had an audience of over a million Americans and often praised anti-semitic beliefs, stating that Jews wanted to take over the world, and would steal jobs. A more familiar figure, Henry Ford, played a huge role in anti-Semitism in America; with every car sold, he had a copy of Hitler’s book, Mein Kampf, on the seat. The opposition of Jewish refugees, and most immigrants during this time was built on the idea that they would steal jobs, bring crime, or contribute to the rise in communism. Today, we see these parallels in arguments for stricter immigration on majority-Muslim and Hispanic countries: “Muslims will bring sharia law”, “The Mexicans will bring drugs and crime.” These statements are just two examples, but extremely popular ones. Today, we often see Muslim and Arabic immigrants being compared to terrorists. However, every mass shooting this year in America was done by a White American. In June 2018, 1,314 migrants were denied asylum after failing their credible fear interviews (the interview that leads to a court hearing.) Asylum isn’t illegal. The majority of immigrants are seeking asylum or coming here for similar reasons. They are facing danger. They come to America to be safe. They come to America to live a better life than they could in their home countries. Instead, they are separated. Filled with fear. And then sent back to a country that endangers them, a country that they have worked so hard to escape. It was the nationalism and hate of the 1930s that tore Jewish families apart. Now in 2018, we are seeing thousands upon thousands of families getting torn apart once again at the border. Yet those in power and even those in our own community seem to be indifferent towards it. We must not let these similarities get past us, we must act now. In the Torah, it is written 36 times to welcome the stranger. So as Jews, it is our obligation to help those going through something that we as a people have gone through for centuries. As Jews, we have been turned away for being different, killed for being different, and enslaved for being different. We are not the only group who has been persecuted, so when we say #NeverAgain, let us mean that for every marginalized group now and in the future. There are many ways to get involved and help refugees and immigrants in your city and state. Ask your synagogue or JCC if they are having any clothing drives, contact your representatives, and simply speak out and show solidarity with the immigrants in your community. As Jews, we are taught Tikkun Olam; repairing the world. 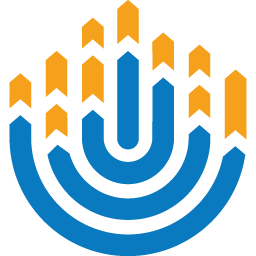 We hold these values close to our hearts as we give Tzedakah, volunteer in the community, and uplift each other. We must bring this idea into a whole new perspective as we support immigrants in America. Yakirah Mitchel is a BBG from Michigan Region. 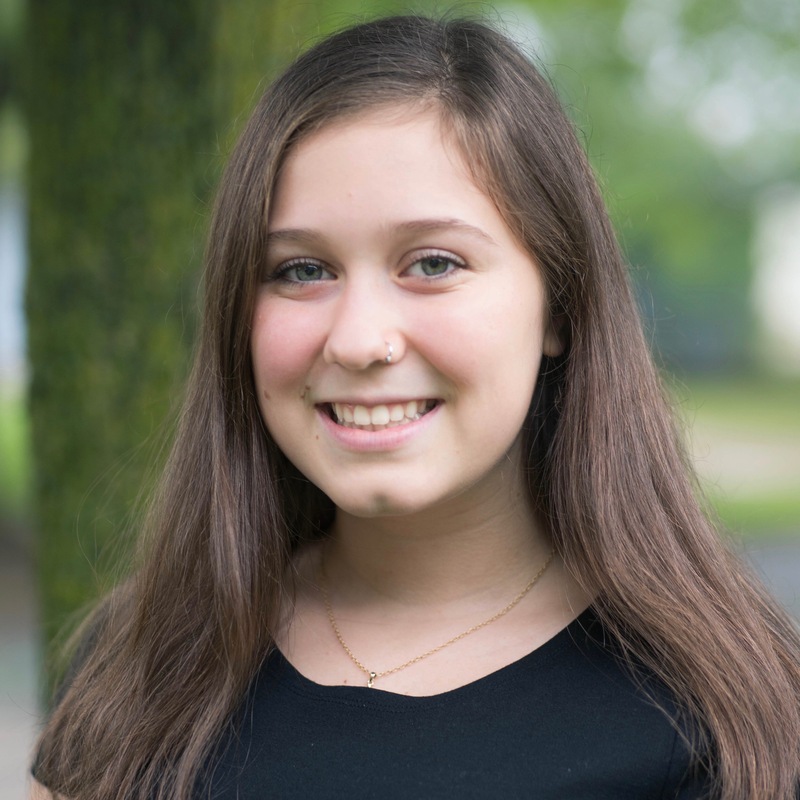 She is a founding member of her chapter and currently serves as its N'siah.